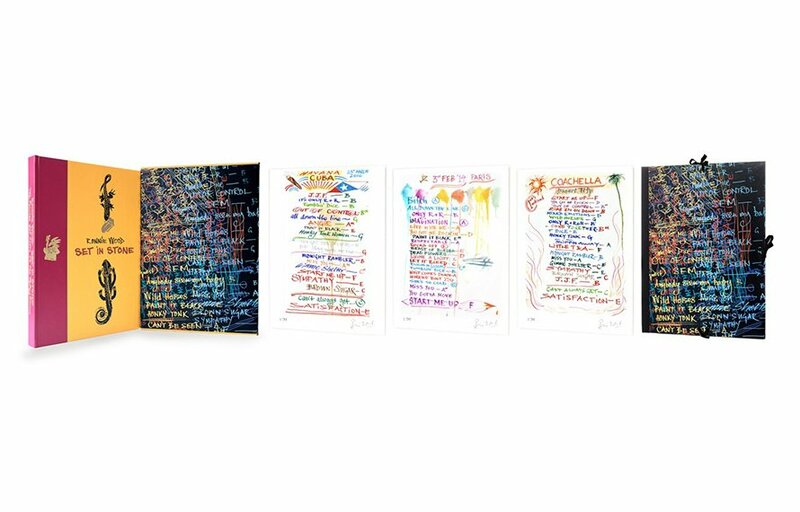 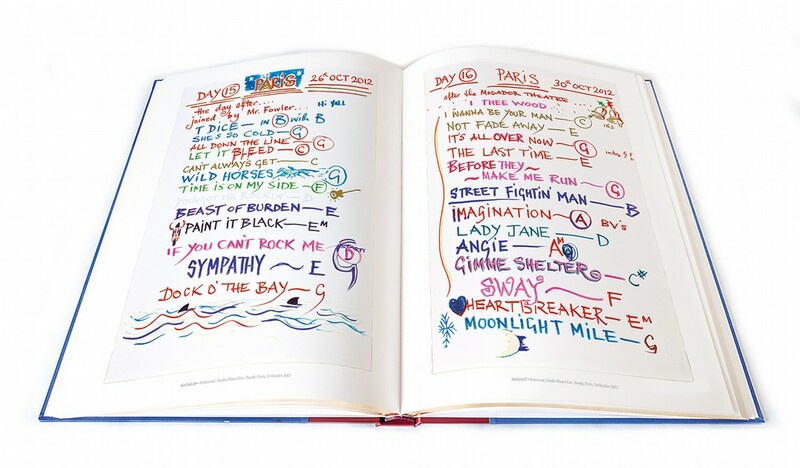 Over the last two decades, the songs that the Rolling Stones have played in rehearsals, live shows and studio sessions have been recorded by Ronnie Wood in a series of handpainted set lists. 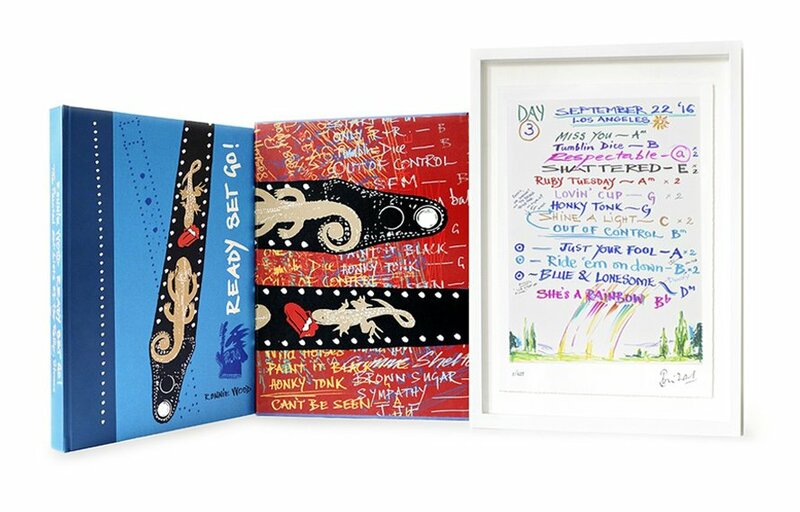 The result is a unique collection of canvases that document sell-out tours across the globe, such as the band's landmark 50 & Counting tour, historic concerts such as 2016's performance in Havana, as well as closed-door sessions for their latest album, Blue & Lonesome. 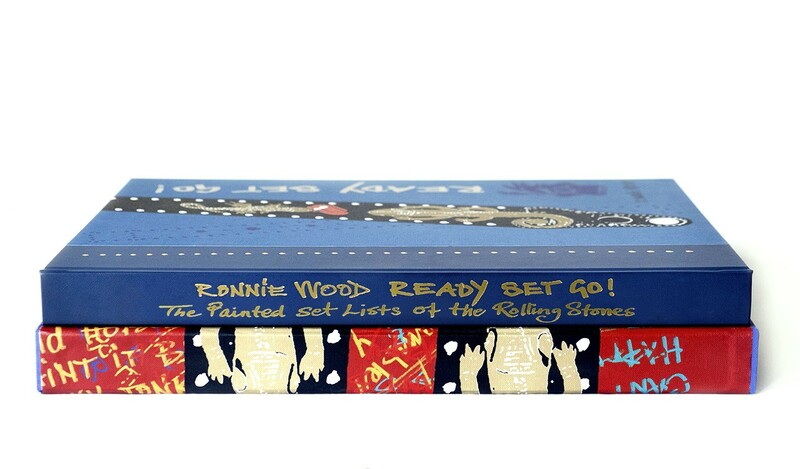 Now for Genesis subscribers and for all fans of the Rolling Stones, we are delighted to present Ronnie Wood's painted set lists for the first time. 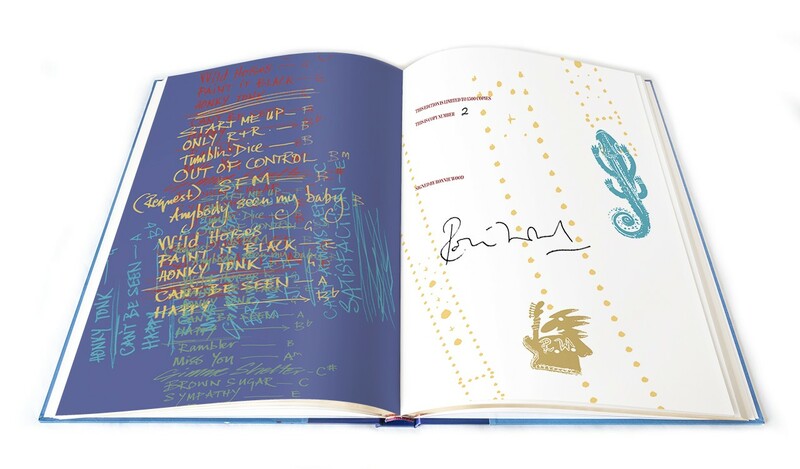 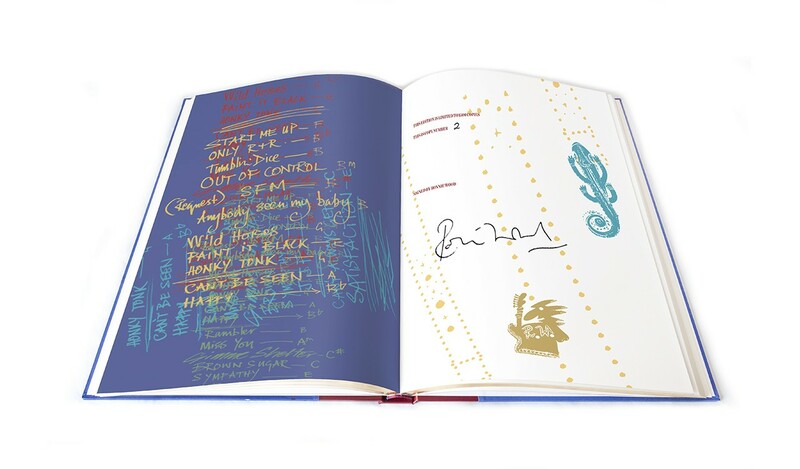 Choose from two new limited editions, each signed by Ronnie Wood. 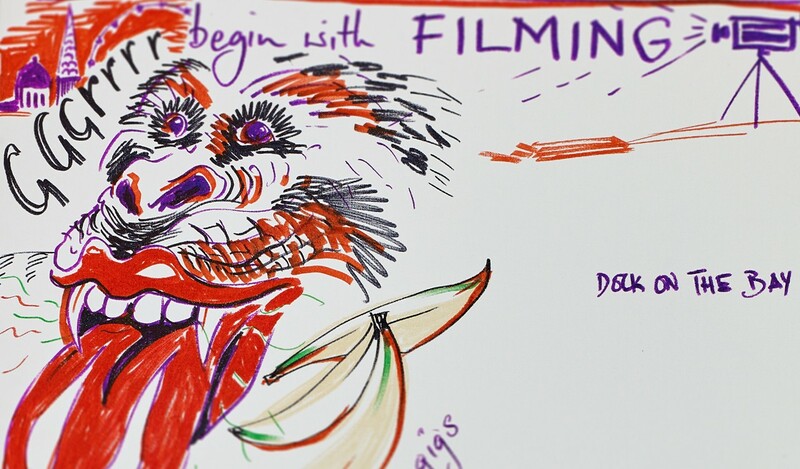 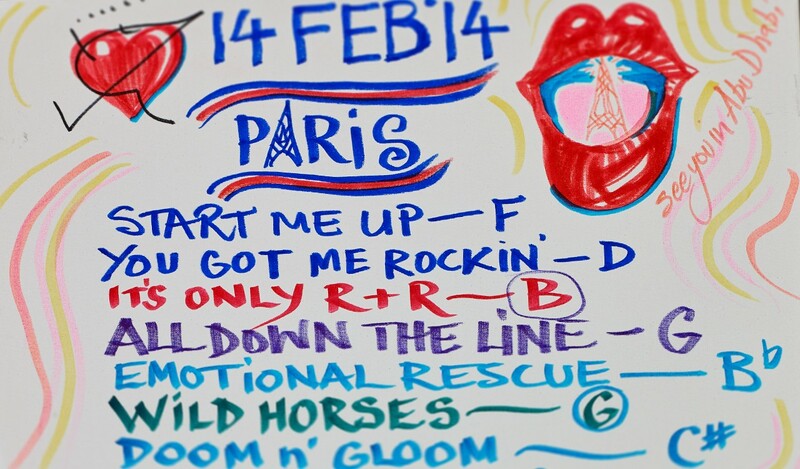 Ronnie Wood has chosen more than 100 painted set lists to be published for the first time. 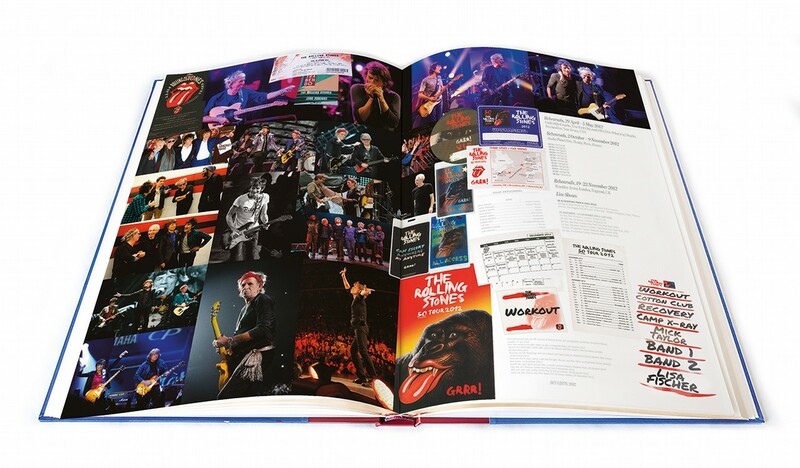 Presented in chronological order, each year of set lists is introduced with a selection of photographs and Stones memorabilia, from A Bigger Bang in 2005 to the latest 2018 No Filter tour. 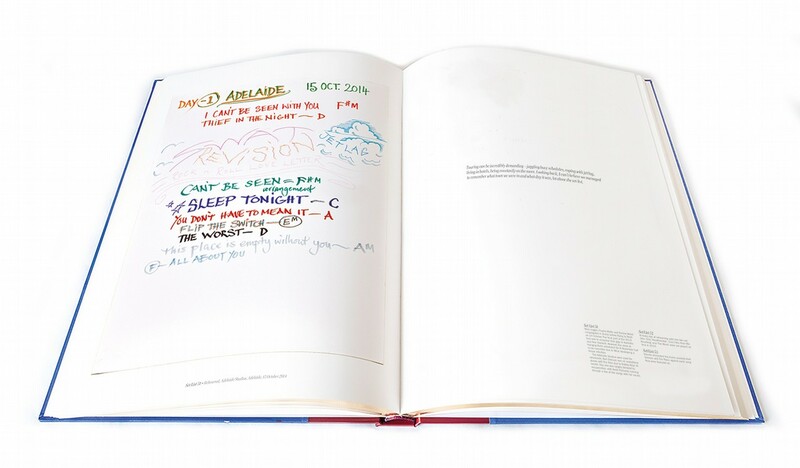 The collection follows the group's travels to foreign rehearsal locations that were kept secret at the time. 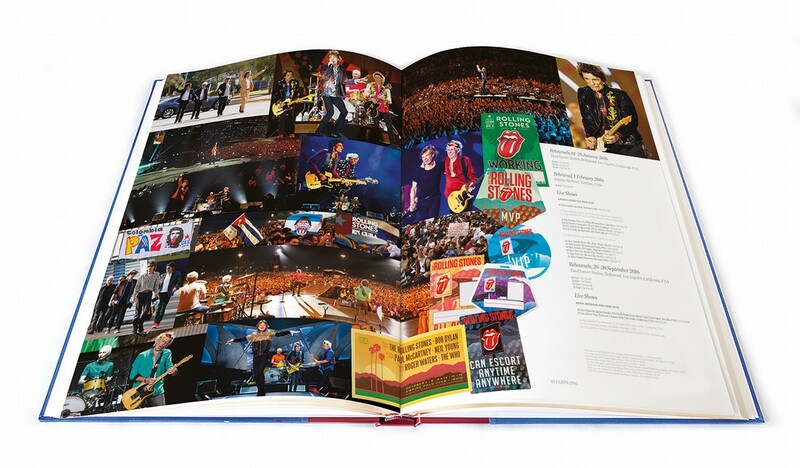 They reveal the songs rehearsed for historic performances, such as the Rolling Stones' 2014 inaugural concert in Israel, as well as documenting the shows as eventually played. 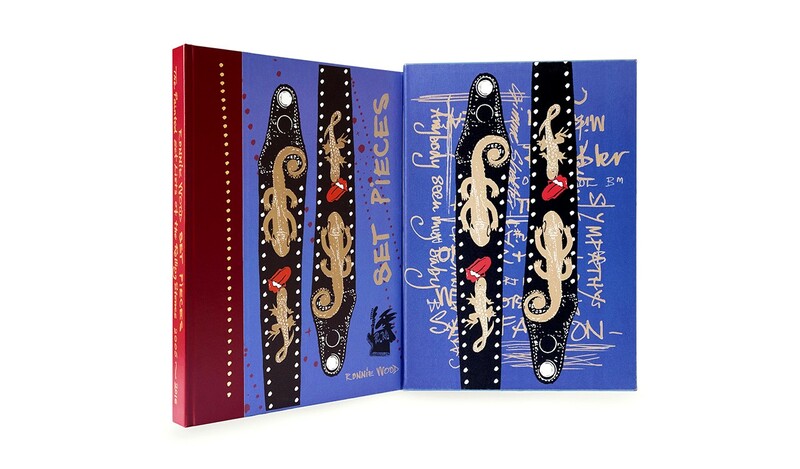 The colourful hand-lettering recalls Wood's early art school days when he worked as a sign writer. 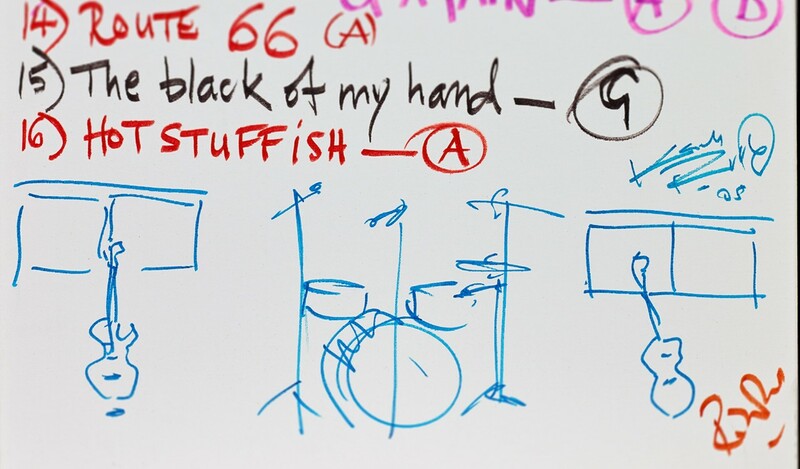 The set lists are visually eye catching and filled with fascinating details. 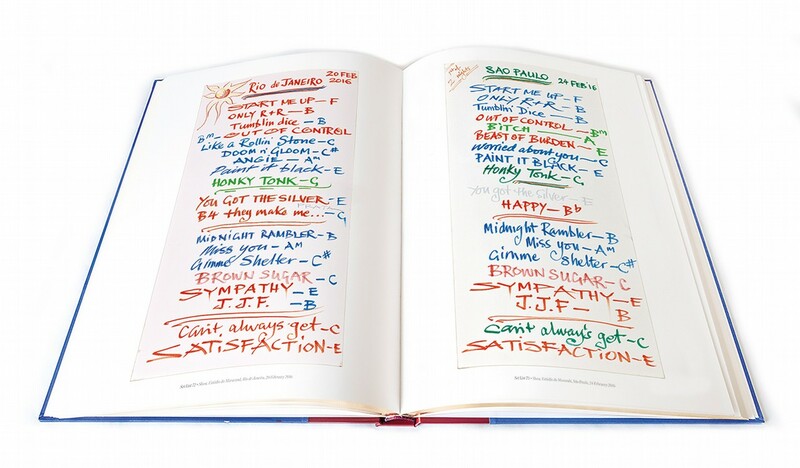 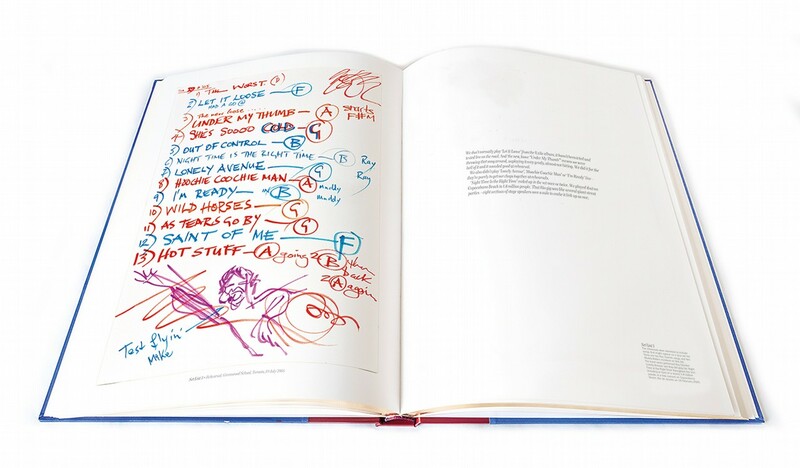 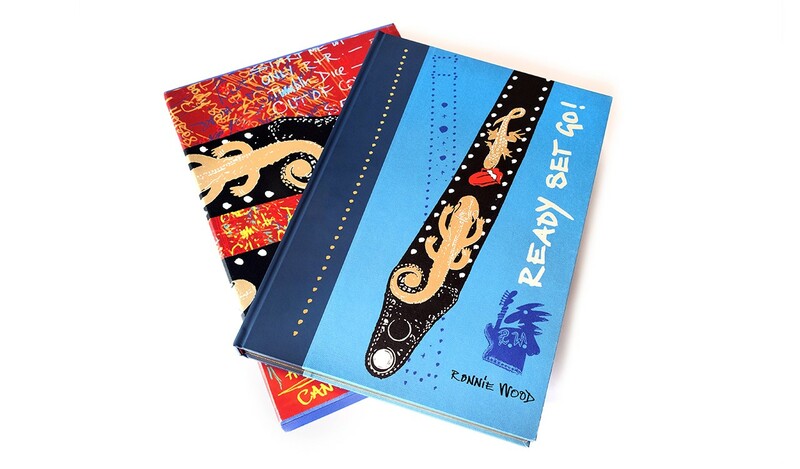 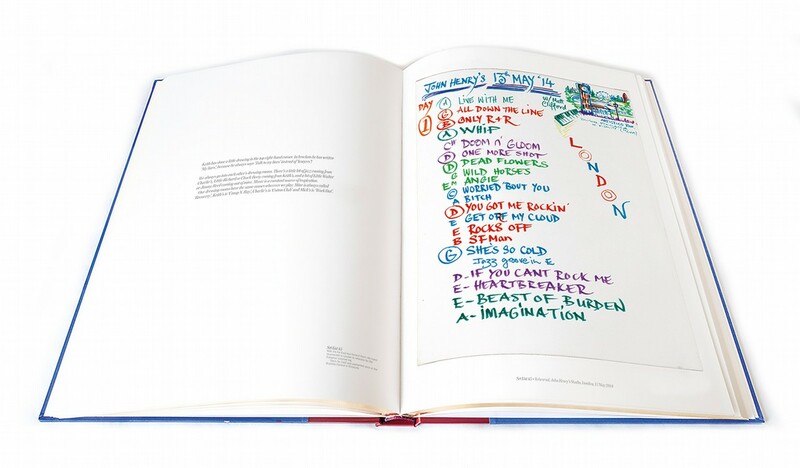 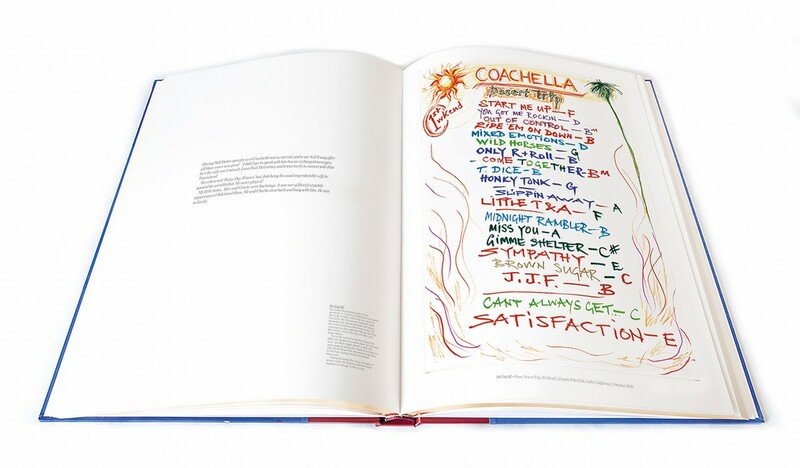 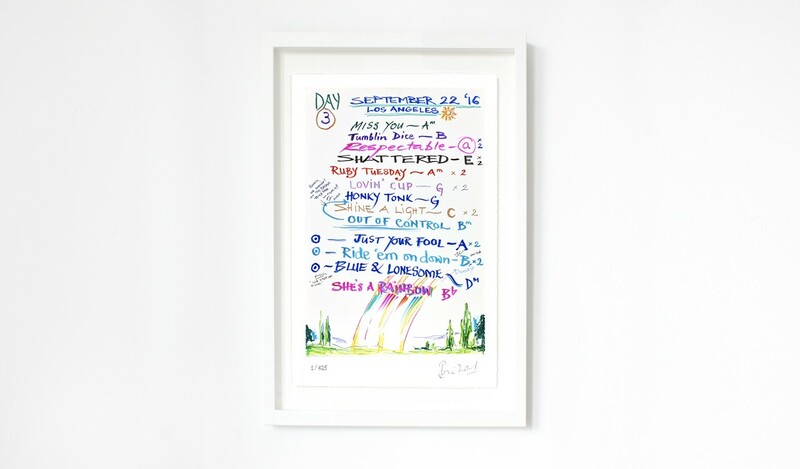 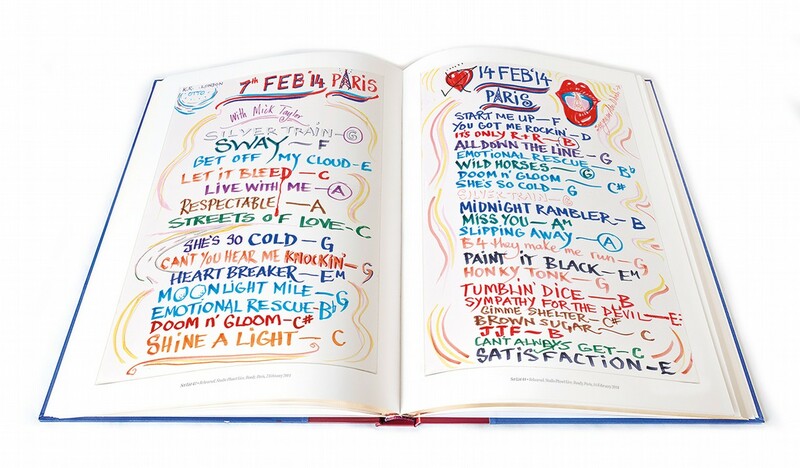 Wood's calligraphy is interspersed with his own illustrations, doodles by fellow band members, and jotted notes that all add up to paint a picture of life on the road with the Rolling Stones. 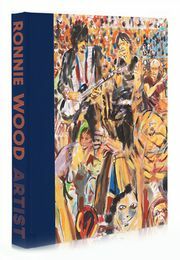 Featuring an introduction by Mick Jagger, in a new 198-page manuscript Ronnie Wood offers a glimpse behind the scenes of one of the most famous rock groups in the world. 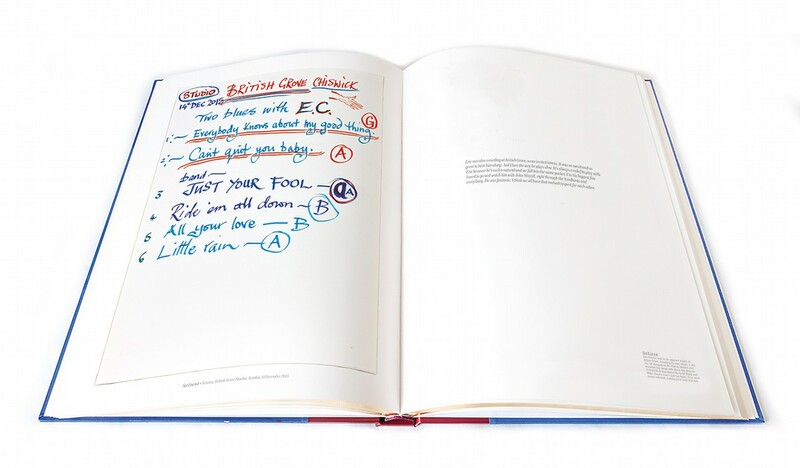 Ronnie Wood's personal reflections bring the story of the set lists to life as he discusses the band's creative process, learning up to 80 songs per tour; personal highlights, such as Valentine's Day 2014, when a small group of fans were invited into rehearsals; collaborations with fellow musicians such as The Black Keys, Eric Clapton, Florence Welch and Jeff Beck; and the band's various reunions with former Rolling Stones Bill Wyman and Mick Taylor. 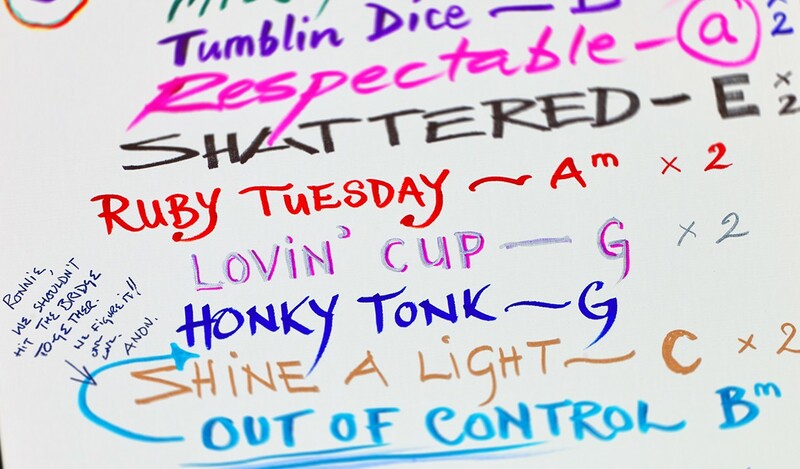 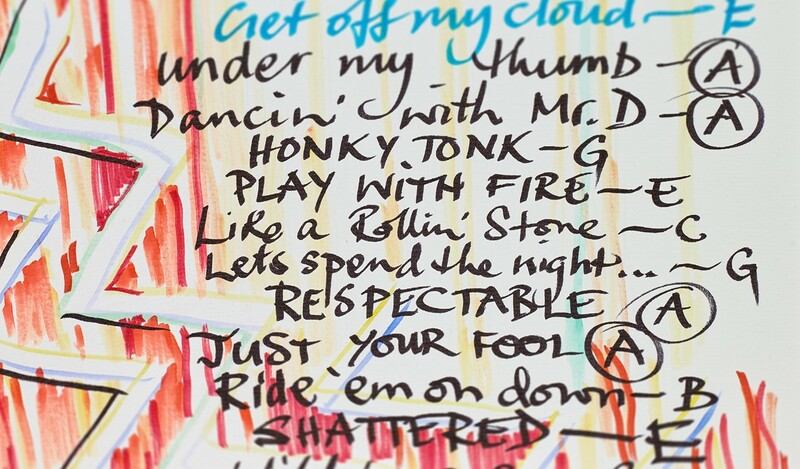 In addition to Ronnie's quotes, extended captions analyse each set list in depth, examining the significance of certain songs and their place within the Rolling Stones' history. 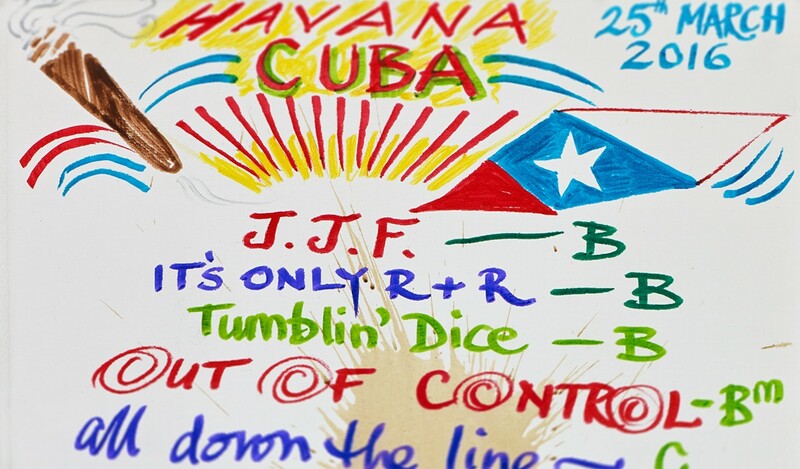 Nearly 150 photographs and items of memorabilia provide additional context. 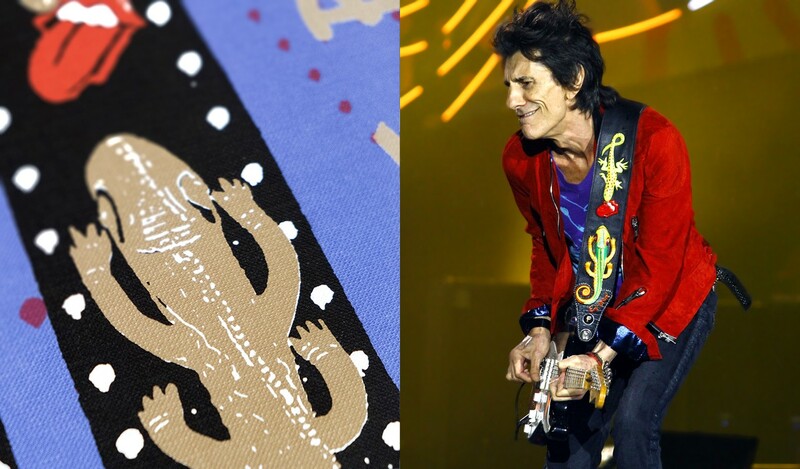 Presented in a cloth-bound slipcase, the 198-page volume is quarter bound in burgundy leather with purple and gold screen-printed covers - emblazoned with the lizards that feature on one of Ronnie's custom-made guitar straps. 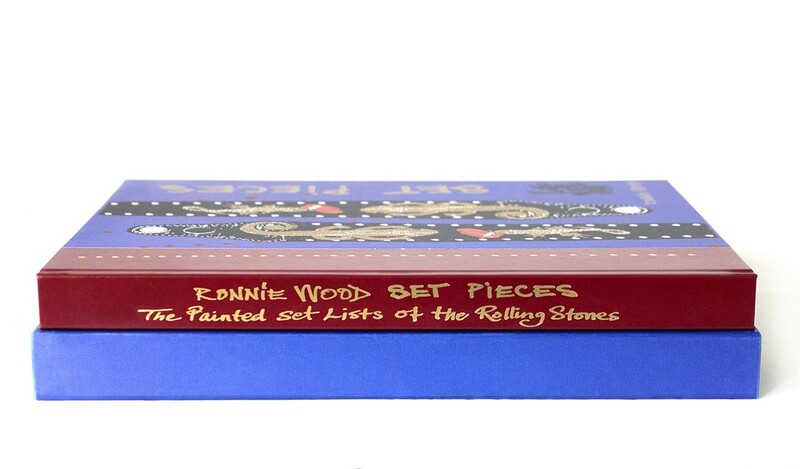 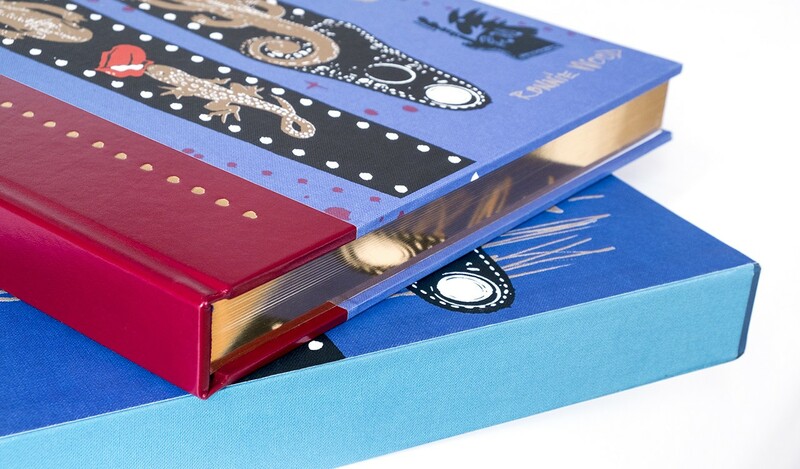 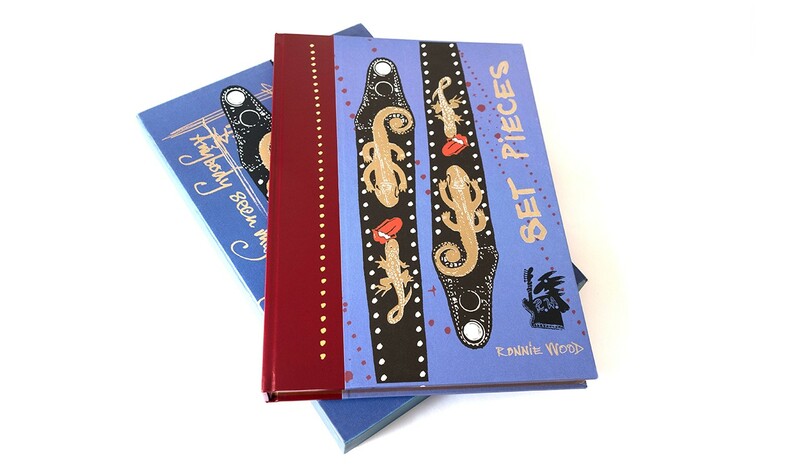 Ronnie Wood's large format Set Pieces book (page size: 297mm x 420mm / 11 ¾" x 16 ½") is hand-finished with gilt page edging and tooling. 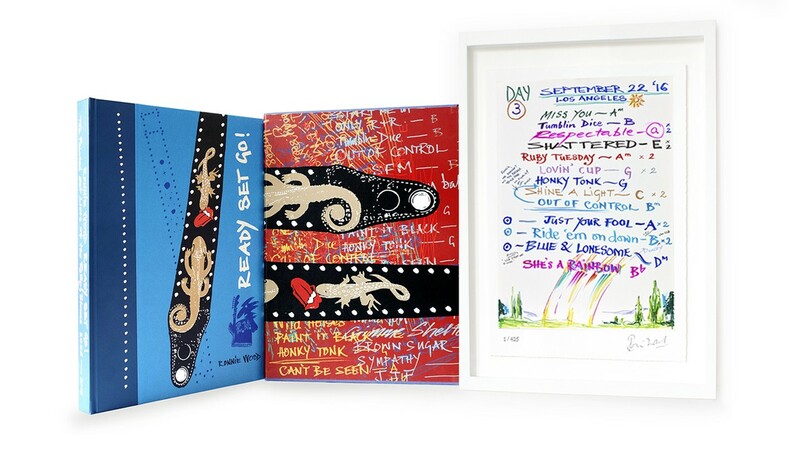 The accompanying Giclée print (11 ¾" x 16 ½") is numbered and signed by Ronnie Wood. 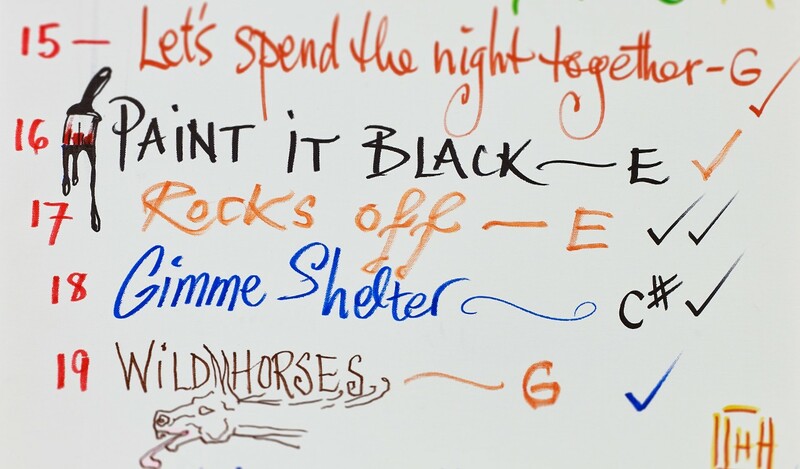 His vibrantly painted set list records a rehearsal in Los Angeles, 22nd September 2016, prior to the band's concerts that autumn. 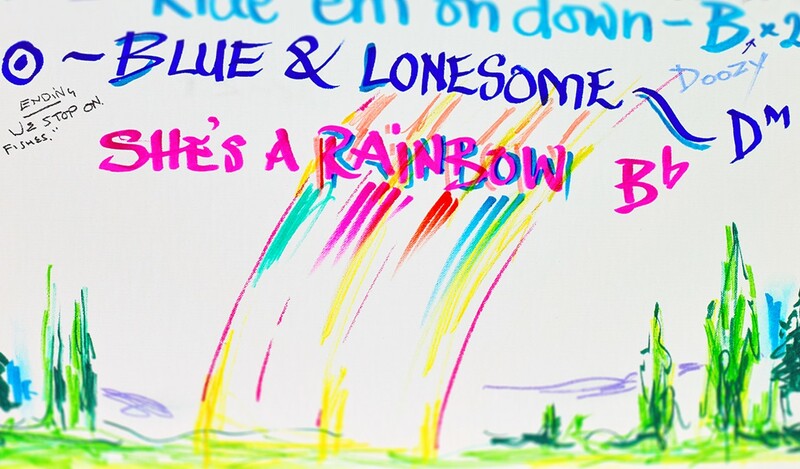 From 'Miss You' to 'She's A Rainbow', this list of important Stones hits and cover versions - see, for instance, Little Walter's 'Just Your Fool' - has been colourfully illustrated and includes a written reminder from Keith Richards: 'We stop on fishes' (referring to the closing lyrics of 'Blue and Lonesome'). 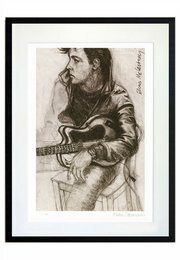 Print size: 11 ¾" x 16 ½"
Framed size: 15 ¼" x 20"
Select your edition (above). 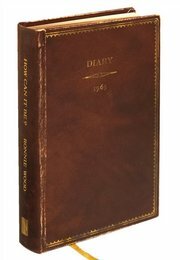 Now shipping through February 2019.